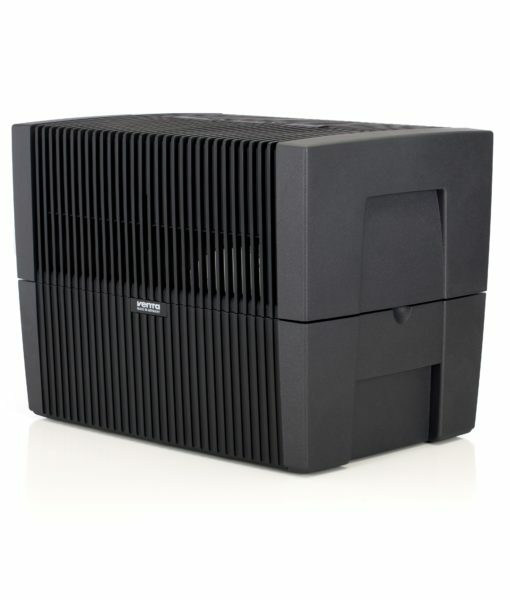 For rooms up to 1,650 square feet, Venta brings you the filter-free Kuube L-T Airwasher, a dual-function evaporative humidifier and air purifier for large living and workspaces. 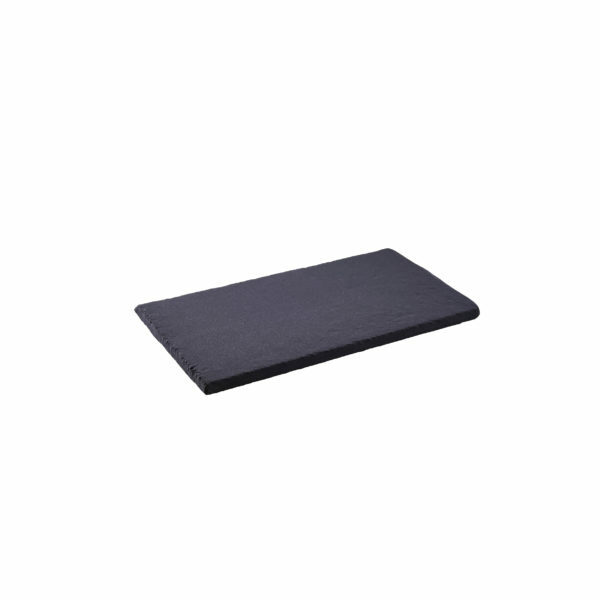 We have developed Hygiene Discs to maintain cleanliness and soften the water inside the unit ensuring flawless performance with any water density. 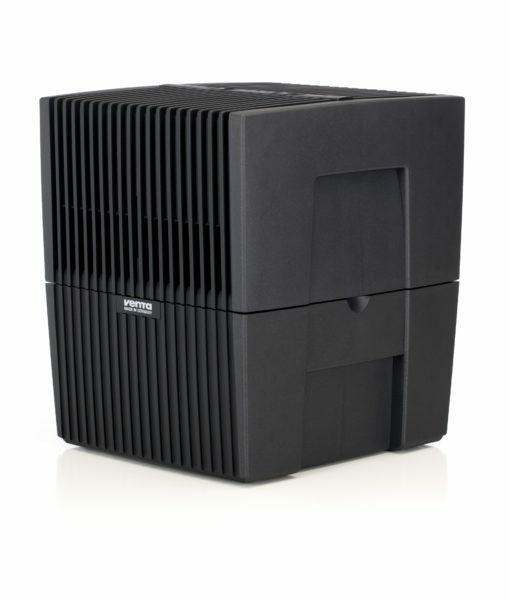 Designed for an energy-efficient operation, the Kuube L-T features five speeds and works by drawing dry air into the unit, then releasing only humidified and purified air back into your space. Using Cold Evaporation technology, the Venta Kuube L-T will not over humidify, nor will it produce ions, ozone or white dust as many other humidifiers in the market can produce. The Kuube L-T features three ways to operate your unit: the digital touchscreen display, infrared remote or through the Venta App when WiFi is enabled. 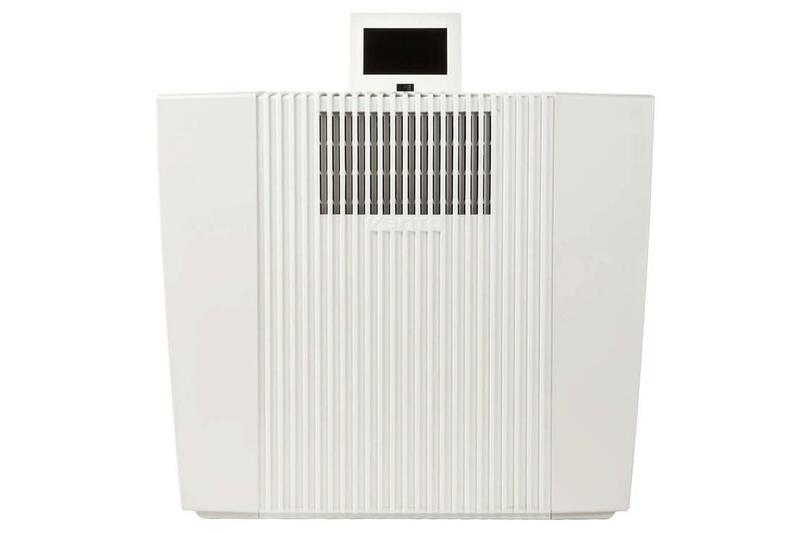 Easily adjust humidity levels between 30% to 70% in 5% increments, or enable the auto feature which allows the appliance to automatically regulate the fan speed based on the air quality in the room. 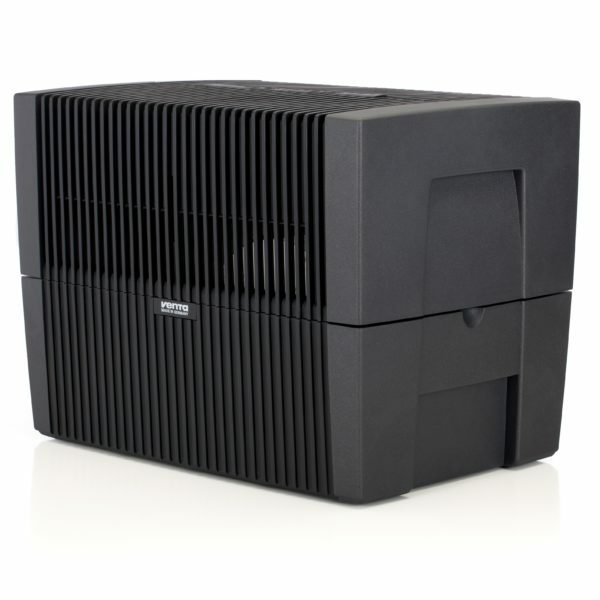 As with all our Venta products, the Kuube L-T offers extremely low maintenance – just add water to operate. 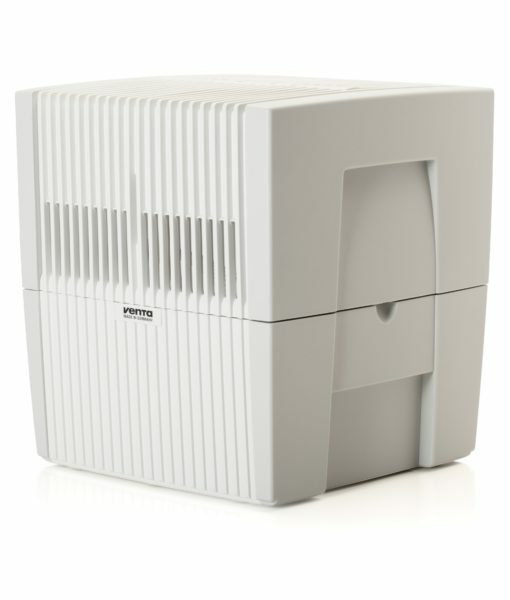 This model Airwasher will even alert you when it is time to enable its self-cleaning mode. 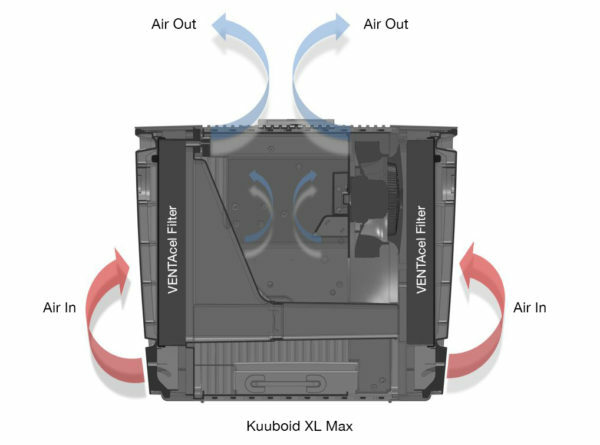 For spaces up to 2,700 square feet, Venta brings you the filter-free Kuube XL-T Airwasher, a dual-function evaporative humidifier and air purifier for large living and workspaces. 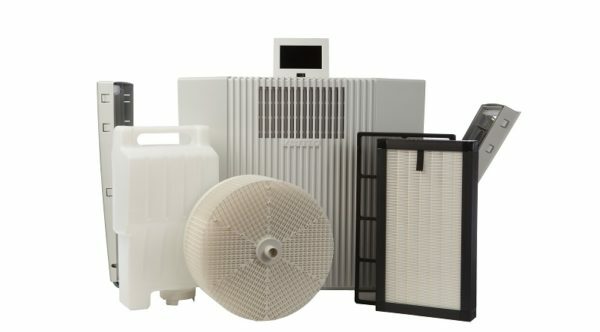 We have developed Hygiene Discs to maintain cleanliness and soften the water inside the unit ensuring flawless performance with any water density. 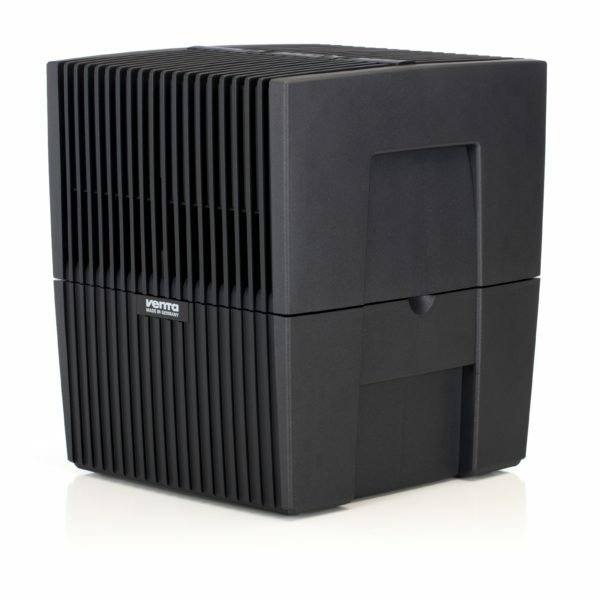 Designed for an energy-efficient operation, the Kuube XL-T features five speeds and works by drawing dry air into the unit, then releasing only humidified and purified air back into your space. 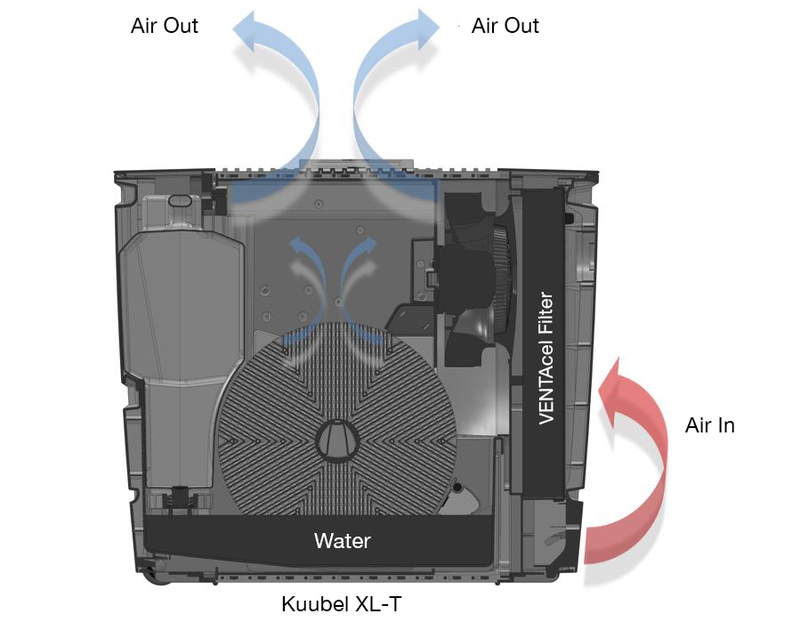 Using Cold Evaporation technology, the Venta Kuube XL-T will not over humidify, nor will it produce ions, ozone or white dust as many other humidifiers in the market can produce. 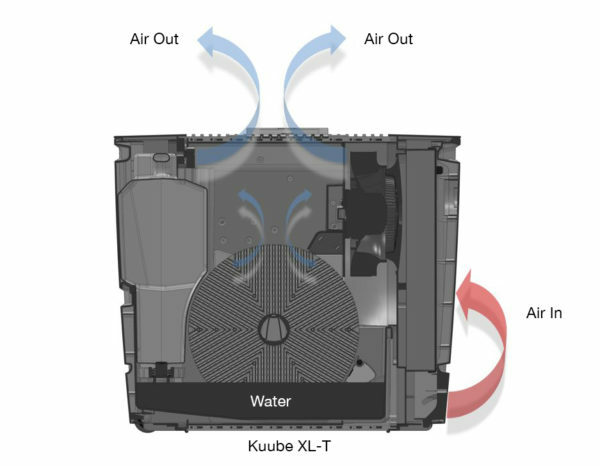 The Kuube XL-T features three ways to operate your unit: the digital touchscreen display, infrared remote or through the Venta App when WiFi is enabled. 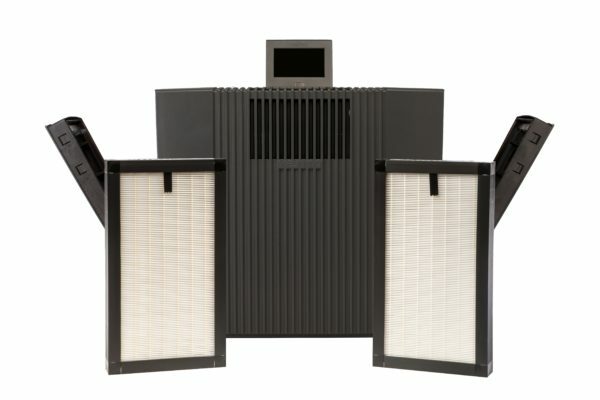 Easily adjust humidity levels between 30% to 70% in 5% increments, or enable the auto feature which allows the appliance to automatically regulate the fan speed based on the air quality in the room. 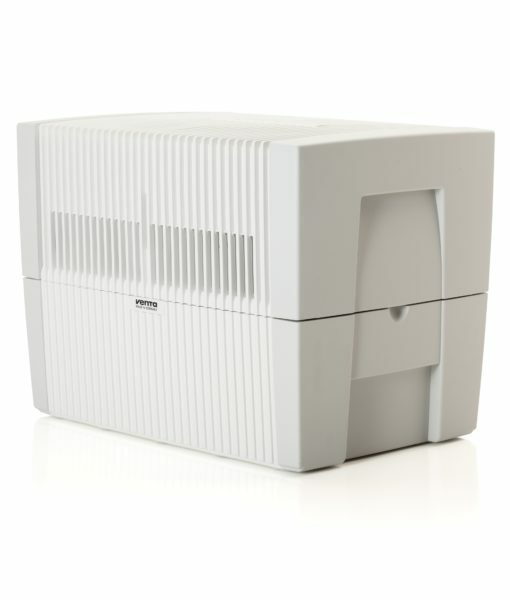 Active for four hours a day, the built-in UVC lamp is designed for a hygienically flawless operation of the Airwasher by preventing the formation of germs and bacteria in the water. As with all our Venta products, the Kuube XL-T offers extremely low maintenance – just add water to operate. 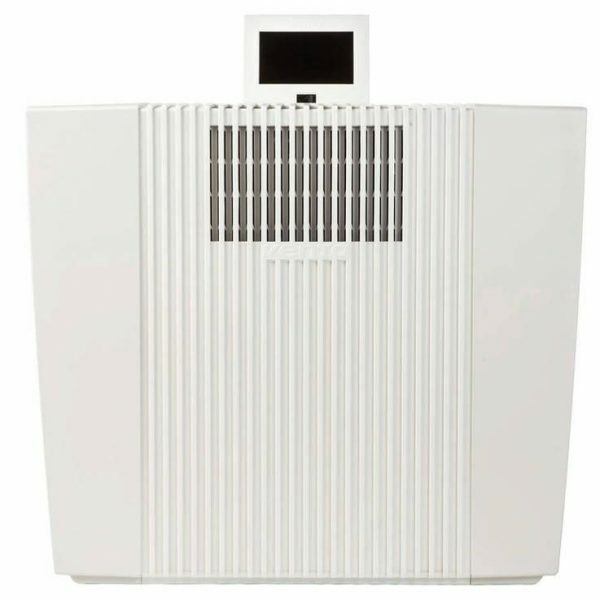 This model Airwasher will even alert you when it is time to enable its self-cleaning mode. 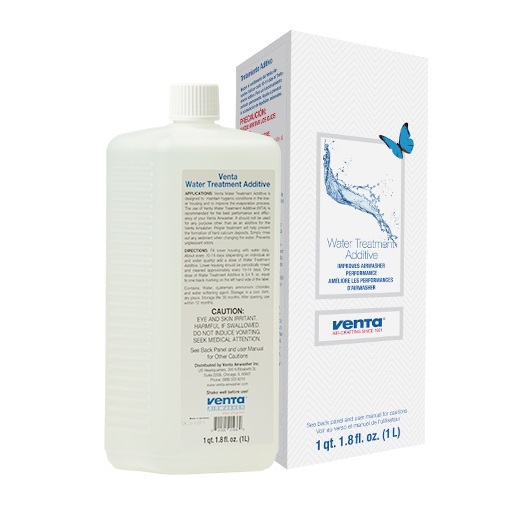 Designed specifically for 4 and 5 Series Venta Airwashers, the Venta Water Treatment Additive improves the performance of the unit by preventing mineral deposits. 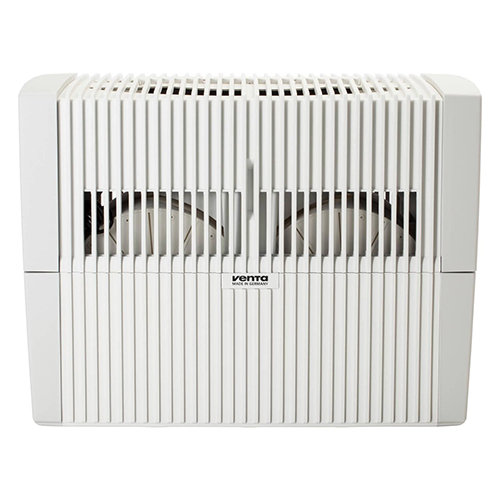 Our Water Treatment Additive (WTA) is specially formulated to maintain hygienic conditions in the Lower Housing of your Venta Airwasher by preventing calcium and lime build up. 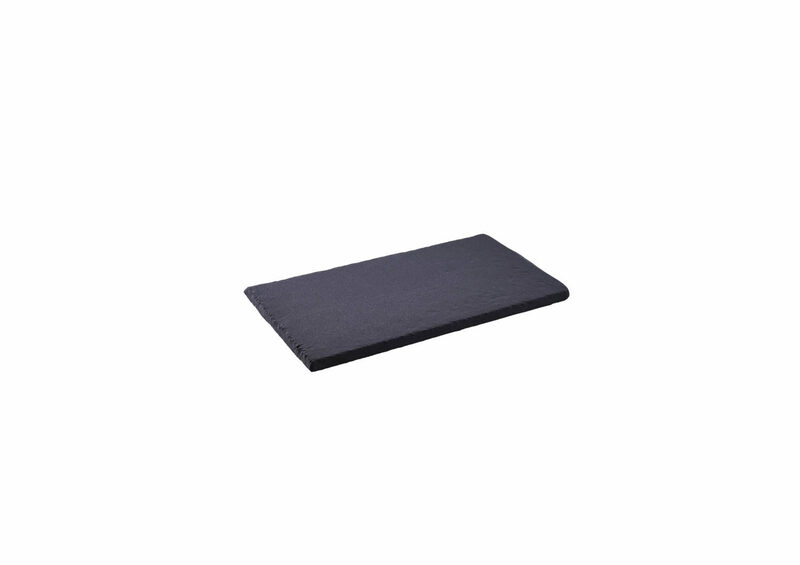 This WTA creates a sheeting action on the Disc Stack to maximize the surface area coated with water, which aids in the evaporation process. 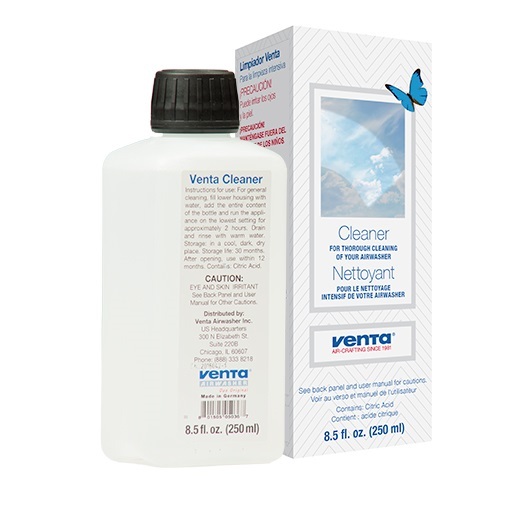 There is no need to add Venta Water Treatment Additive to your Airwasher each time you add water, as the ingredients do not evaporate. 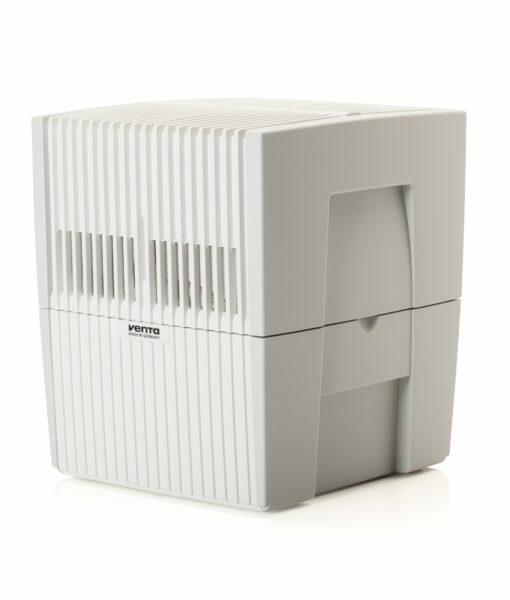 Simply add Venta WTA to your Airwasher after cleaning every 10 to 14 days. 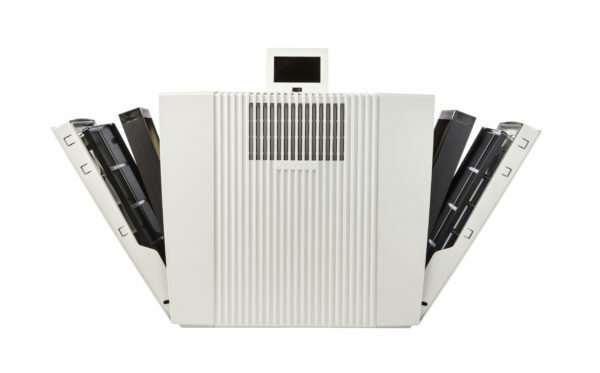 The premium quality Venta Rollwagen Trolley allows for easy movement of the Venta Airwasher when repositioning the unit in your home or office. 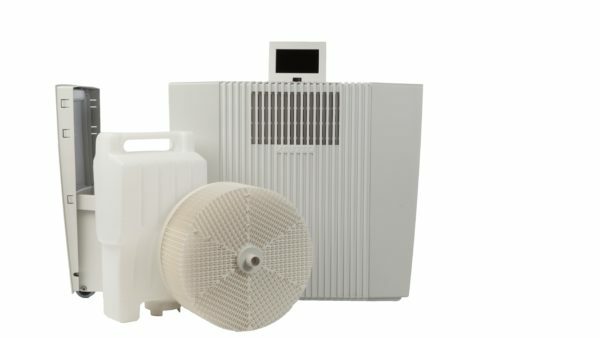 Durable and lightweight, the expandable Trolley includes two handles that simply snap into the frame in order to lock your Airwasher securely in place. 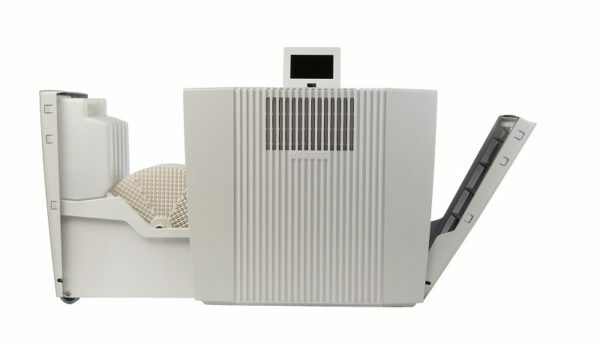 Manufactured in Germany, the Venta Rollwagen Trolley is built to last as long as the Airwasher itself. 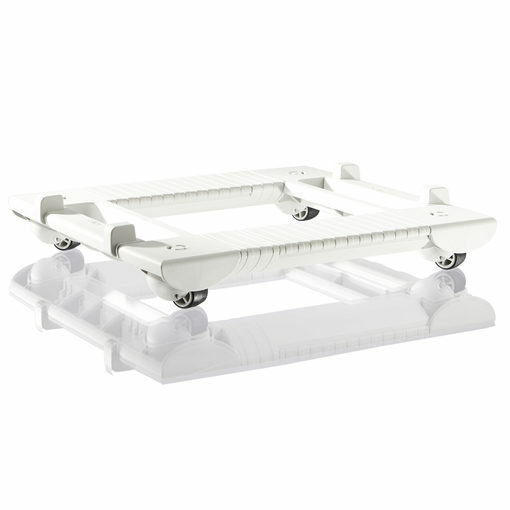 Available in either Black or White, the Trolley accommodates Venta Airwasher models LW24, LW24 Plus, LW25, LW44, LW44 Plus, and LW45. 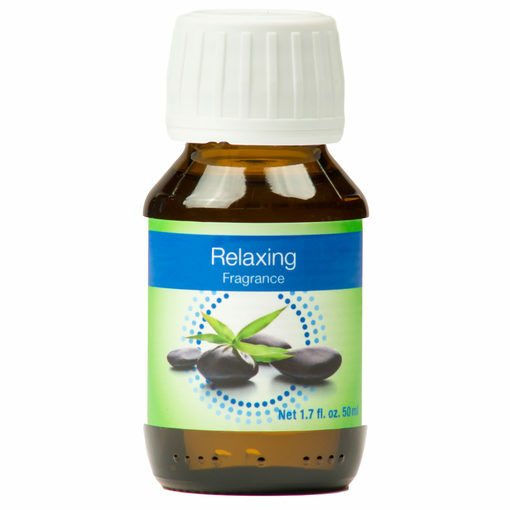 Studies prove that pleasing scents can aid focus and concentration levels. 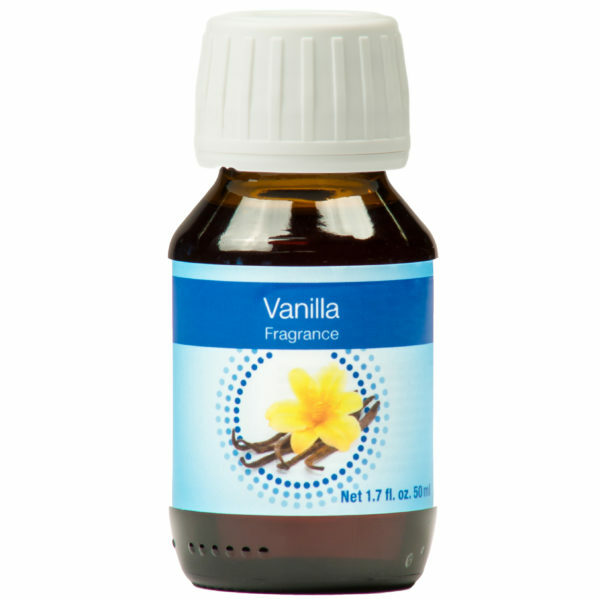 Specifically formulated for the Venta Airwasher, our premium Aromatherapy oils add a welcome touch of fragrance to the hydrated and purified air in your room. Made up of 100% natural essential oils, Refreshing Fragrance is a zesty and fresh blend of orange scents, the perfect way to start the day. Simply pour half a cap of oil from the 1.7-ounce bottle directly into the water in the Lower Housing and enjoy the fragrance while running your Airwasher. 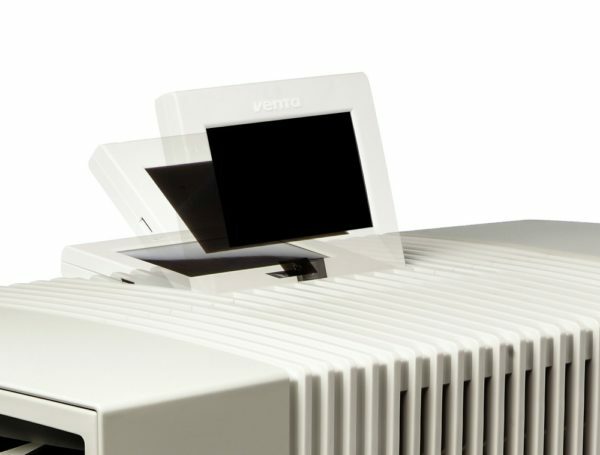 Not intended for use in the Venta 6 Series units. 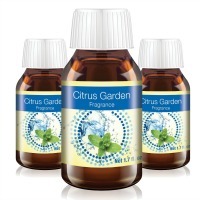 Studies prove that pleasing scents can aid focus and concentration levels. 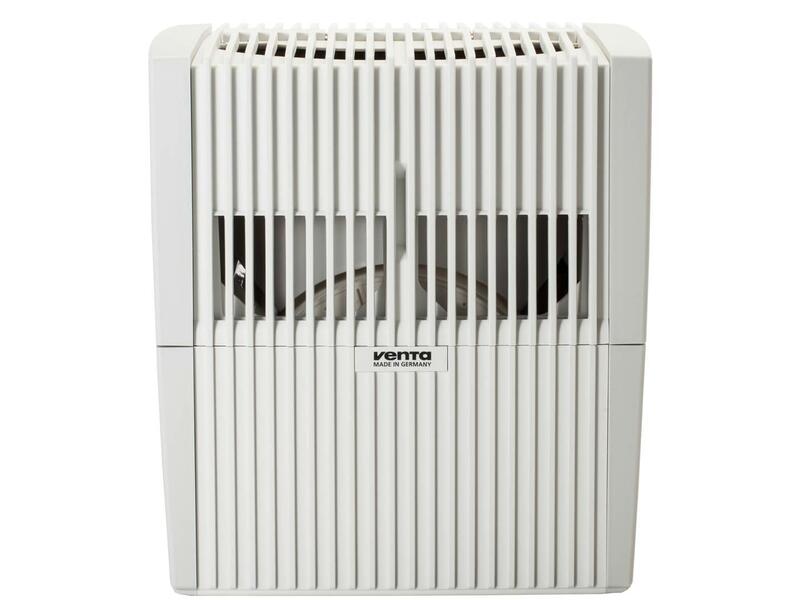 Specifically formulated for the Venta Airwasher, our premium aromatherapy oils add a welcome touch of fragrance to the hydrated and purified air in your room. 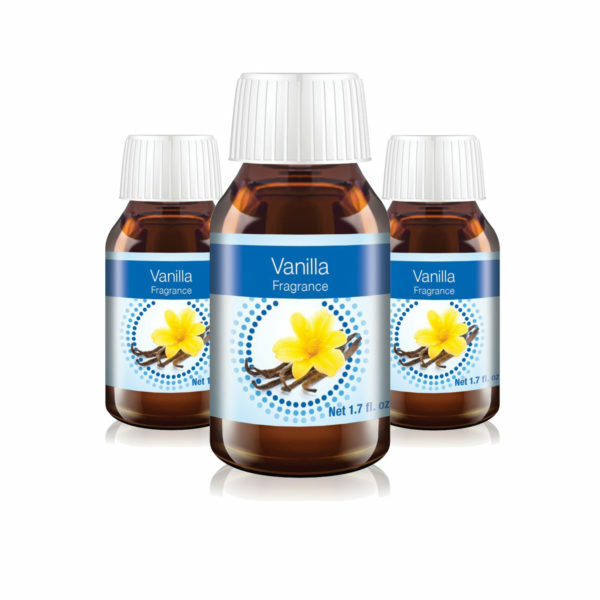 Made up of 100% natural essential oils, Vanilla Fragrance is inviting and warm, creating a home full of health and balance. 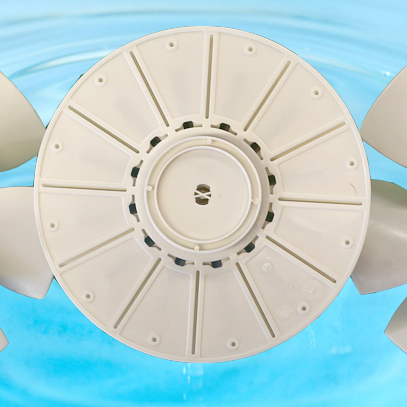 Simply pour half a cap of oil from the 1.7-ounce bottle directly into the water in the Lower Housing and enjoy the fragrance while running your Airwasher. 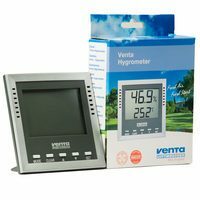 Not intended for use in the Venta 6 Series units. 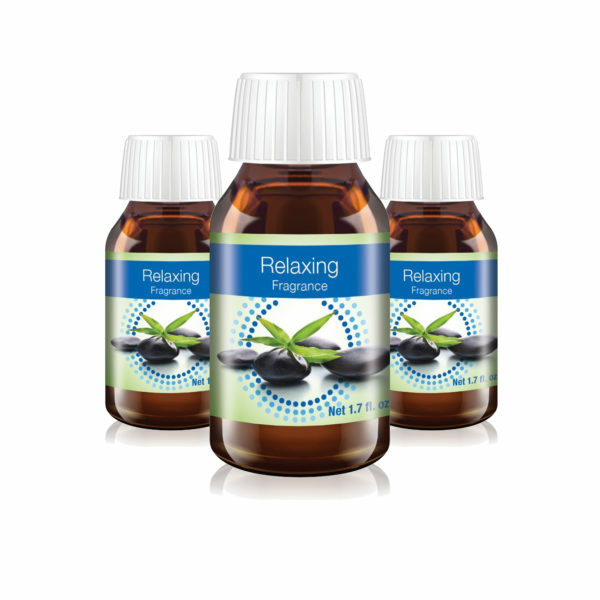 Studies prove that pleasing scents can aid focus and concentration levels. Specifically formulated for the Venta Airwasher, our premium Aromatherapy oils add a welcome touch of fragrance to the hydrated and purified air in your room. 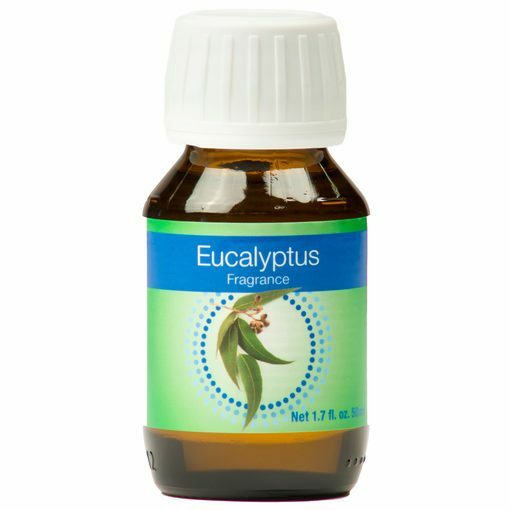 Made up of 100% natural oils, Eucalyptus Fragrance is a soothing blend of eucalyptus, peppermint, and tea tree – a necessity for anyone with congestion. Simply pour half a cap of oil from the 1.7-ounce bottle directly into the water in the Lower Housing and enjoy the fragrance while running your Airwasher. 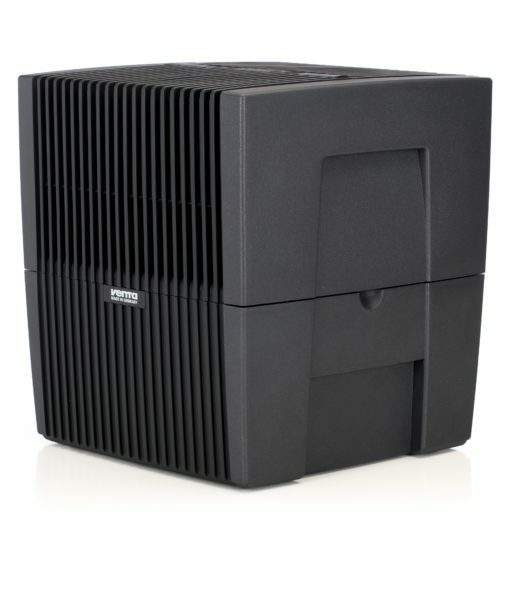 Not intended for use in Venta 6 Series units. 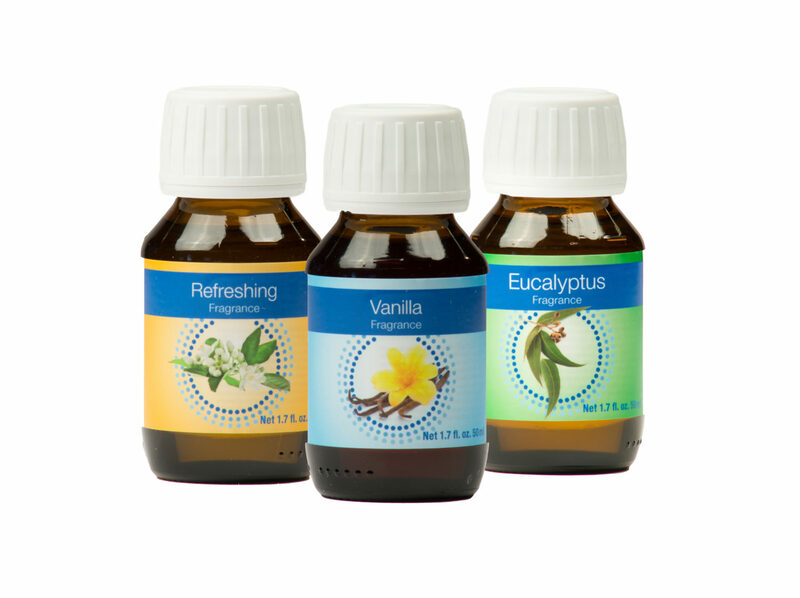 Studies prove that pleasing scents can aid focus and concentration levels. 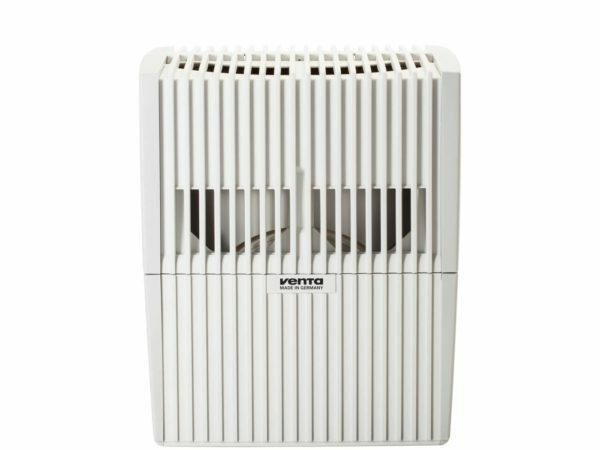 Specifically formulated for the Venta Airwasher, our premium Aromatherapy Oils add a welcome touch of fragrance to the hydrated and purified air in your room. 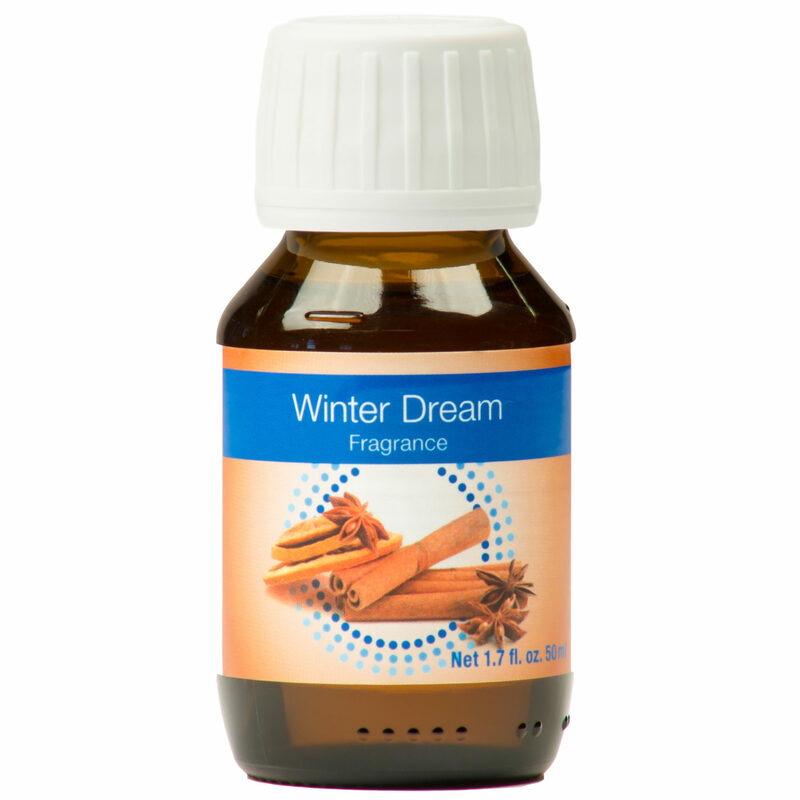 Made up of 100% natural essential oils, Winter Dream Fragrance is a warming blend of cinnamon and citrus, an easy fix for the winter blues. Simply pour half a cap of oil from the 1.7-ounce bottle directly into the water in the Lower Housing and enjoy the fragrance while running your Airwasher. Not intended for use in the Venta 6 Series units. 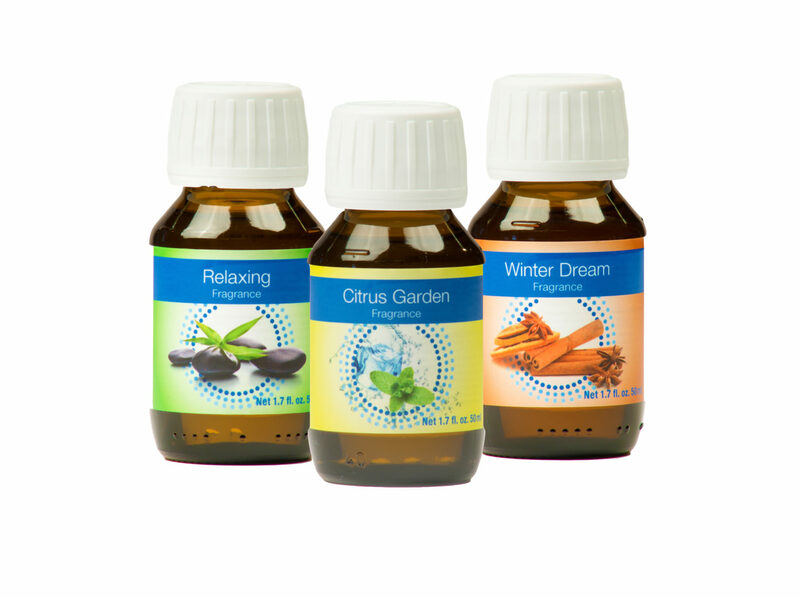 Studies prove that pleasing scents can aid focus and concentration levels. 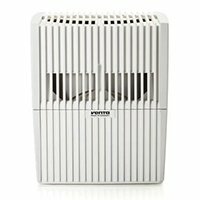 Specifically formulated for the Venta Airwasher, our premium aromatherapy oils add a welcome touch of fragrance to the hydrated and purified air in your room. Made up of 100% natural essential oils, try one of each of our Refreshing, Vanilla and Eucalyptus fragrances in our combination pack. 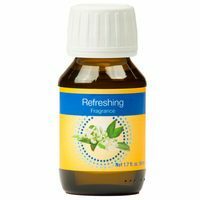 Simply pour half a cap of oil from the 1.7-ounce bottle directly into the water in the Lower Housing and enjoy the fragrance while running your Airwasher. Not intended for use in the Venta 6 Series units. 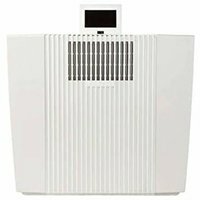 Venta Service technicians will professionally clean your Venta Airwasher unit in our state of the art Ultrasonic Cleaning machine. 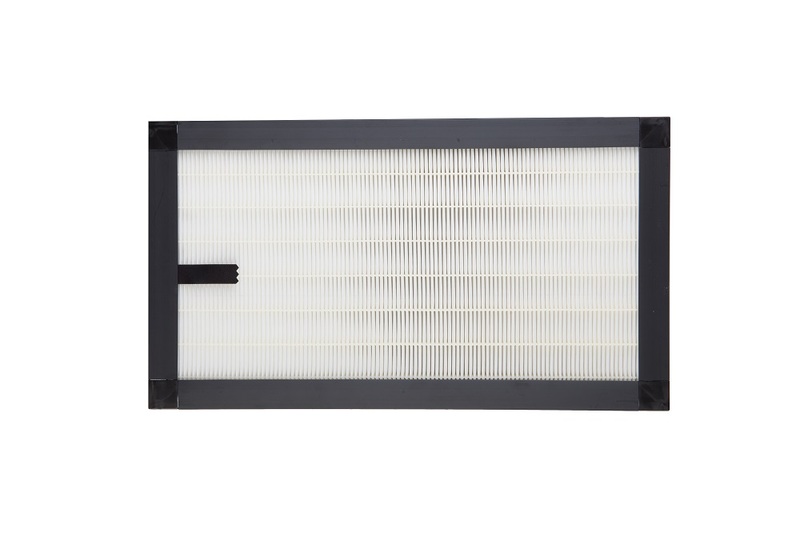 This service removes the buildup of dirt, lime, and sodium that may have accrued over time. 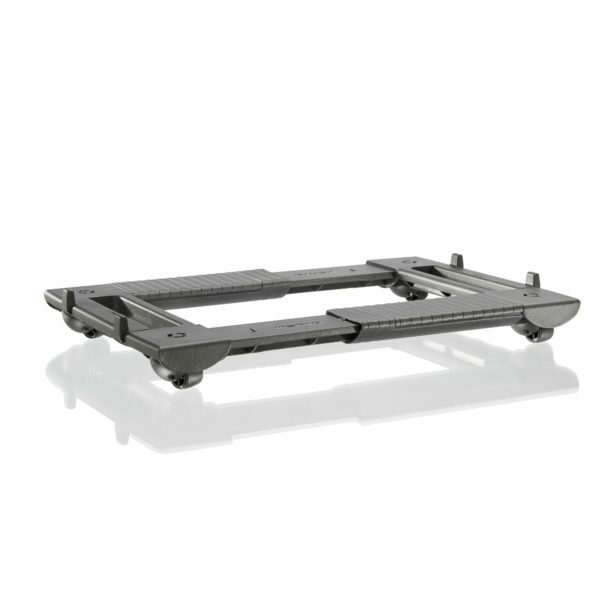 We will also replace the Gear Box and Rubber Coupling. The result is a clean, sanitized, like new Venta Airwasher that will continue to humidify and cleanse your air. 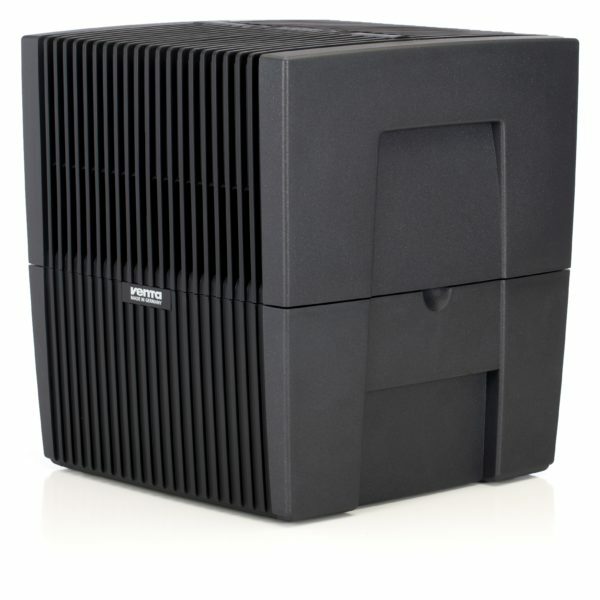 The price also covers the cost of shipping each way within the contiguous United States for convenience. 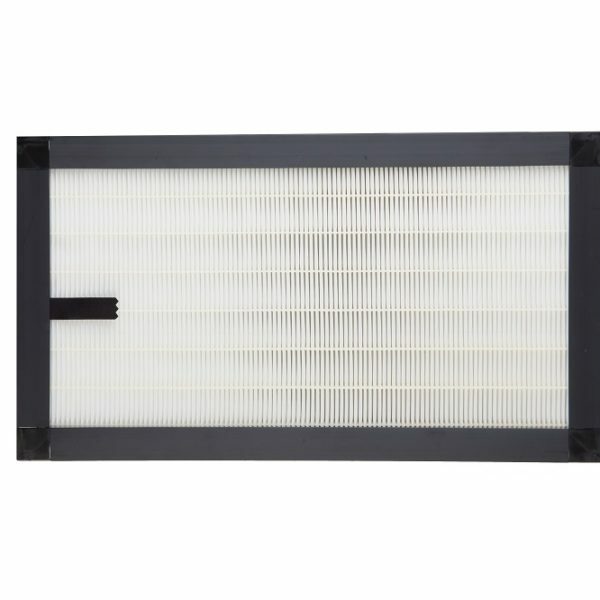 Upon order completion, please allow one business day for receipt of your shipping label via email or three to five business days for receipt of your shipping label via FedEx. For additional information, please contact our customer support team.